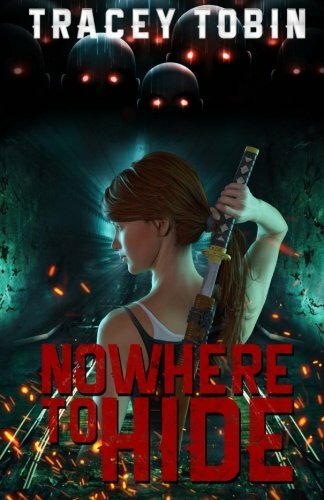 A blog by Tracey Lynn Tobin, author of "Nowhere to Hide"
My first ever completed manuscript is a novel about a zombie apocalypse in which our main character becomes intimately introduced to just how horrifying the world, and people in general, can be. My current work-in-progress follows a young woman who has been through hell and back. When she starts seeing strange visions, as well as hearing and feeling things that others around her don’t, she starts to realize that there is something very strange happening to her. The next thing she knows she is transported to another world, another universe, perhaps even another plane of existence, and there are people here who seem to think she has come to save them from evil. Will she be able to put her own issues aside to take on this herculean task? This is technically fan fiction, but not of the type you might be used to. I’ve taken the classic story of Final Fantasy VI (III in North America) and novelized it. It is the original script, melted down, simmered for a bit, and reformed to create a storybook version of the tale of humans and espers and the journey for power. A short supernatural romance filled with as much danger as there is love-making. Aya Ryder takes a huge risk when she helps out a werewolf named Kaleb who has taken sanctuary in the paper mill in which she works. At first she thinks she’s found the thing she’s been looking for her whole life, but soon things spiral out of control when the creature after Kaleb hunts them both down.